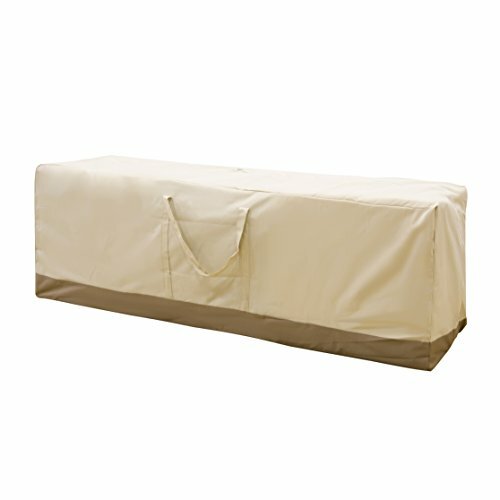 The Patio Seat Cushion/Cover Storage Bag makes it easy and safe to store patio cushions in the winter. The Cansun Garden Cushion Bag provides durability, fade-resistance, and convenience. This storage bag holds chair chaise or bench cushions. It's made of weather-resistant Oxford Fabric in beige color. Double-stitched seams add strength and a stylish accent, zippered top opening enables quick access cushions inside while durable handles make easy carrying. Easy to fold and store with a box which is quite space-saving. Resist cracking , fading and tearing. If you have any questions about this product by APARESSE, contact us by completing and submitting the form below. If you are looking for a specif part number, please include it with your message.